Weddings, Bridals, Engagements, and everything beautiful about your special day. Portraits, children, and family photography too. Stunning videos for your Wedding and portrait sessions. Ceremony, toasts, and feature films. Highlight films that will bring tears to your eyes. At Southern Jewel, we love what we do and we are all one big family! Want to learn more about us and about the Southern Jewel Family? Click the link below to see more about us :). At Southern Jewel Photography, we pride ourselves on providing not only the BEST quality photos but also the BEST quality customer service. Our Southern personality mixed with our love for Photography and Videography give our clients the BEST of everything! Greenville SC Wedding Photography by Amber Jones in Greenville, Spartanburg, Anderson, Charleston, Charlotte, and Columbia. Based out of Greer SC this wedding photographer can meet your photography needs. She is able to travel for photography to anywhere in the upstate but also does destination wedding photography. Serving Greenwood SC as a wedding photographer for the last 4 years and recently relocated to Greer SC. She loves her brides and makes sure her wedding photography is a treasure you will pass onto your family and children. Greer SC has a new best wedding photographer in town. If you want your wedding photographer to be the best there is, look no further. 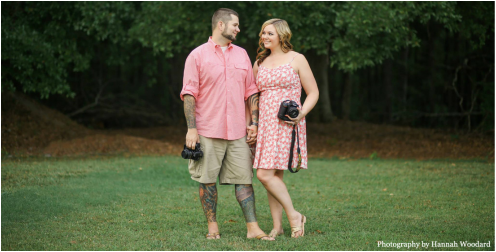 Amber is an amazing wedding photographer in Greer, SC and will make sure your dreams come true on your wedding day!